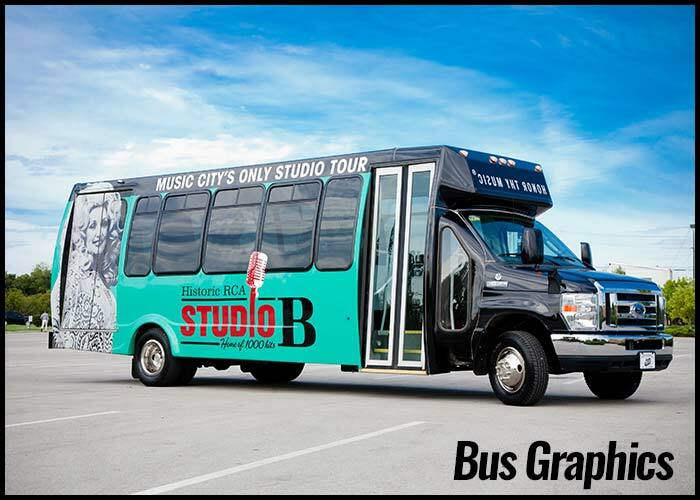 Adding exterior bus graphics to your vehicle can be an easy and affordable way to gain name recognition and exposure to your organization. From simple, single color bus graphics to full color body bus wraps, Carpenter Bus Sales can help in this process. Whether you already have lettering and an existing logo that is unique to your organization or you’d like to create something new from scratch, our salesmen and graphic designers can work with you to make your vehicle really stand out and be noticed. Your bus can be a rolling billboard to help you communicate your organization’s story to the rest of the world. This sort of advertising might tell your story better than any other form of advertising. We have worked with plenty of senior care communities who have used their bus for marketing purposes. Even if you don’t need a full bus wrap for your vehicle, basic bus graphics will help potential customers know your brand and even help them be able to contact you easier. Our bus graphics design team can help create the perfect message for your organization.